A Fun Bathroom Waterfall Design! Hey, folks! 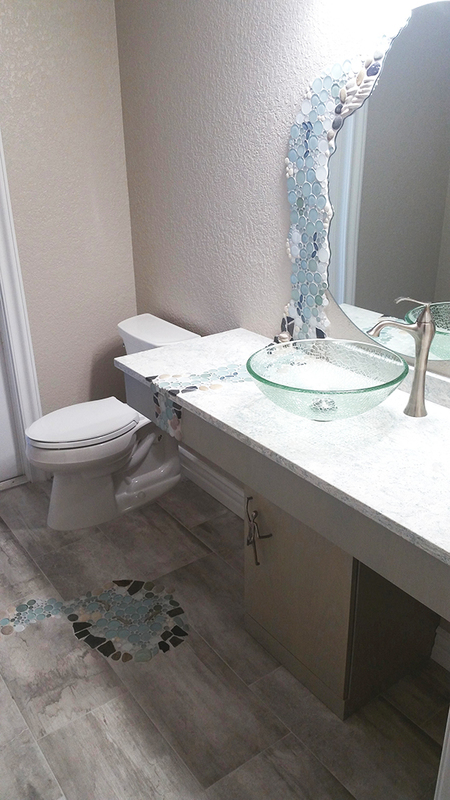 Today we want to share a few installation photos we've received! This project was completed recently and was definitely a bit different from our normal murals. We were excited to take on the challenge and even more excited to see the final results! 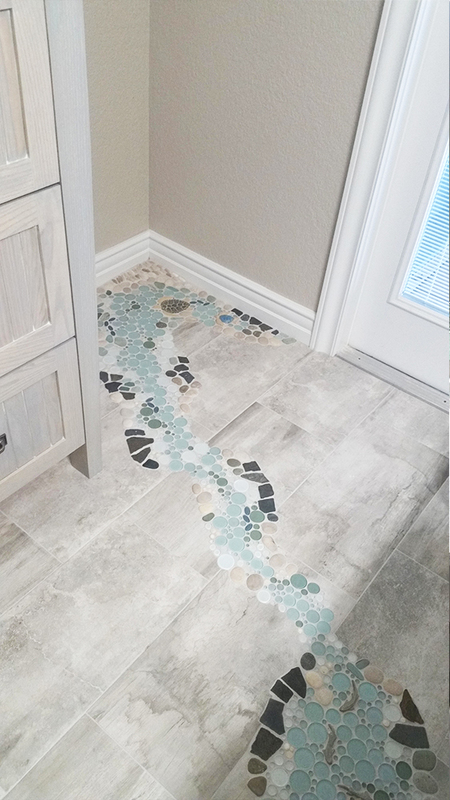 Check out this funky waterfall design we created! 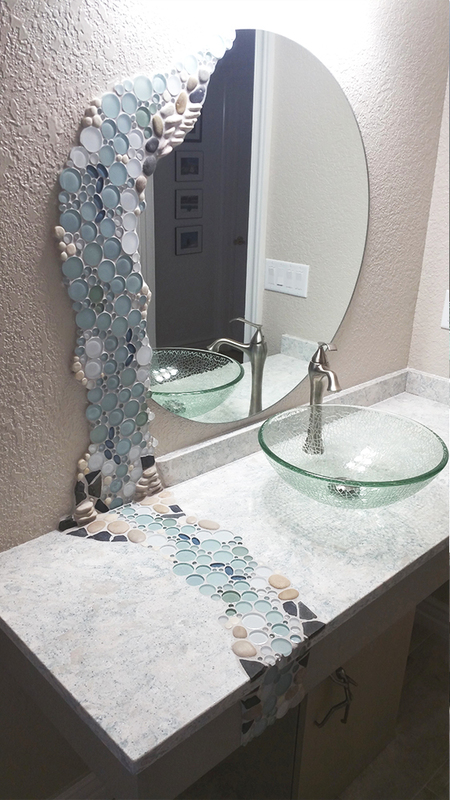 Using a mix of ceramics, glass, and rocks, we designed this one-of-a-kind mural starting from the top of the mirror, down and over the countertop, and crossing across the floor to a 'pool' in the corner. You can see fish, turtles, various shells, and all sorts of rock and glass! We are so happy with how it turned out! What do you think?